Quattra Designs make jewelry that is one of a kind, handcrafted with love from silver and beautiful stones. The jewelry and wearable art on this page is available for sale at affordable prices. Gift wrapping? of course we will! Please click on our contact page to inquire about the jewelry and accessories on this page, someone will contact you within 24 hours or less. Lesley Rahner Ewald Drusy and Montana agate. ﻿Your jewelry should be as interesting as you! Sharon Major and her spectacular necklace at the Quattra show. Wearable art and designer jewelry, Quattra has an annual show with the designs of four exceptionally gifted art jewelry designers and metalsmiths: Roxy Lentz, Sharon Major, Lona Northener, Lesley Rahner Ewald, plus the accessories of Suzanne Spencer, Denise Coonley, and Lois Stickler. Quattra Designs feature one of a kind, handcrafted collectible pieces and jewelry. ﻿﻿﻿Metalsmith Jewelry Artist﻿﻿:﻿ A﻿ craftsman﻿ fashioning ﻿works of wearable art out of precious metals and wire. Charity: The practice of benevolent giving and caring. 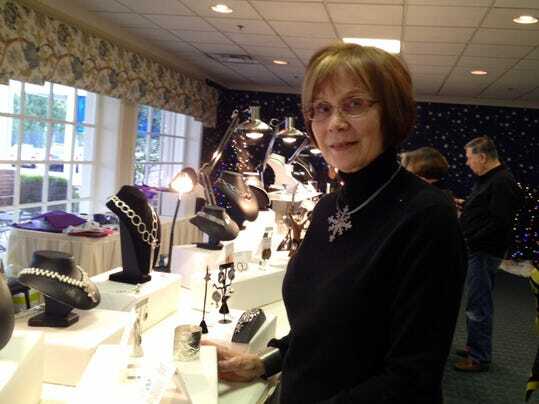 ﻿Result:﻿ Four of Louisville’s finest metalsmith jewelry artists (Quattra) each displaying their extraordinary craft at an annual event for the benefit of charity at the Louisville Boat Club. ﻿The artists:﻿ Roxy Lentz, Sharon Major, Lona Northener and Lesley Rahner-Ewald, each demonstrate a unique style, and will present meticulously hand crafted “one of a kind” creations that will never be duplicated. The owners of a piece of this collection of jewelry will possess an extraordinary, exclusive item. Take this opportunity to see some of the most desirable, original jewelry creations available in this market, all for the benefit of a worthwhile charity. Nowhere else this season will there be a chance to see the exclusive creations of not one, but four of the most talented artists found anywhere. ​to benefit the Louisville Orchestra. To receive occasional emails from Quattra Designs please subscribe here. Do you have a question for Quattra Designs?